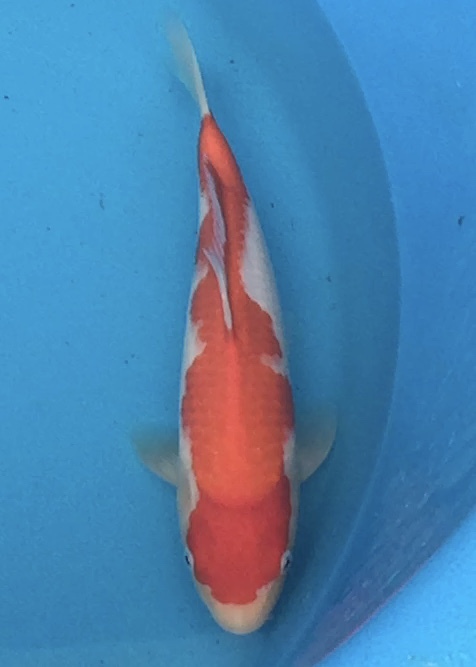 Home / Featured / Koi Show / Willie Morland's 1st in size 2 kohaku at the Scottish Koi Show with a kohaku bred by us! Willie Morland's 1st in size 2 kohaku at the Scottish Koi Show with a kohaku bred by us! Congratulations Willie Morland on winning 1st in size 2 kohaku at last weekend's Scottish Koi Show, with a kohaku bred by us! That 1st place was out of 7 koi in it's size/variety class. And I gather the competition was particularly tough.. so a well earned award indeed! 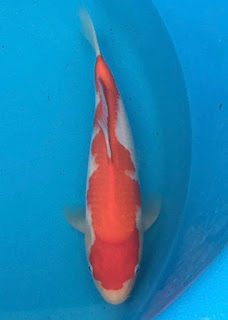 A great result, and from what Willie tells me... this bright and well proportioned kohaku was also in the running for the BC award... being one of the 3 koi lifted by the judges when considering the BC award, and then pipped to the award by Bob Robson's fantastic GR kohaku. Willie say his kohaku came second in the running for BC, and that was out of 42 koi (the number of koi in sizes 1 and 2). I'm looking forward to seeing how Willie gets on with the kohaku over the coming years, and I'll keep you posted with any updates. Here's a stock picture and vid I have of Willie's prize winning inazuma kohaku taken a couple of months ago. Another great result; and congratulations to the whole club for putting on the show.